Here are examples of commissions I have completed. If you would like to order a commission then please contact me for more information. 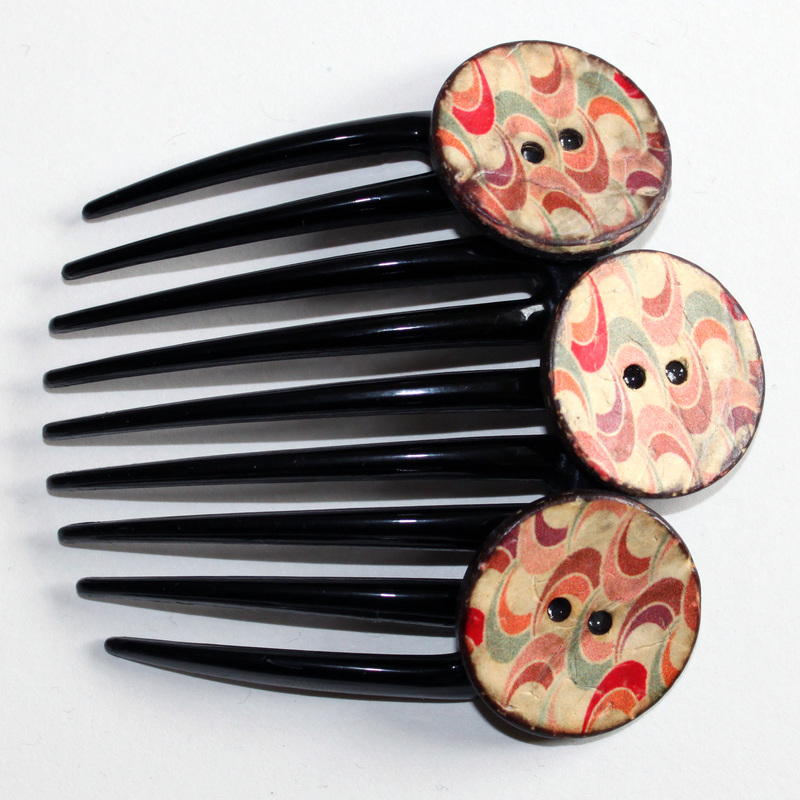 Items here are not for sale through my website but are examples of other work that I have done. 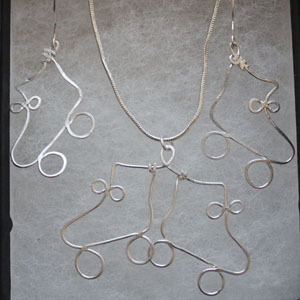 Made using silver plated wire with clear enamel covering, formed into roller skates and hammered. 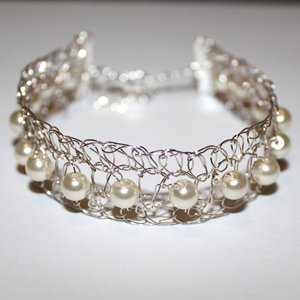 Made using silver plated clear enamel covered wire and glass pearls. 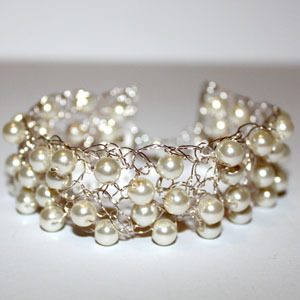 This piece was commissioned as a more simplified version of a crochet pearl bracelet. 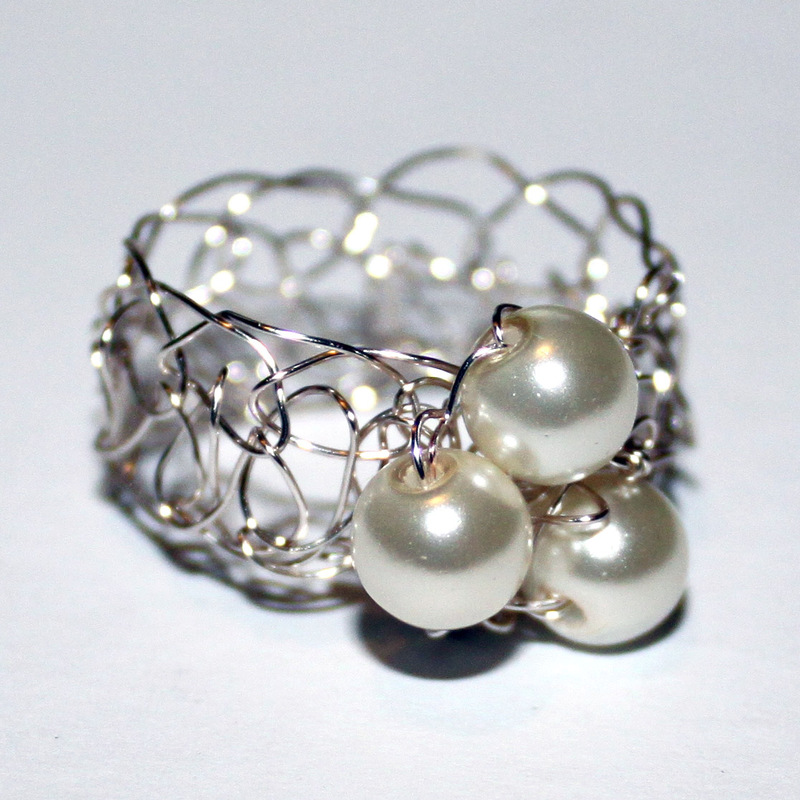 Made using silver plated clear enamel covered wire and glass pearls. This piece was commissioned to accompany crochet bracelets and could be made with any larger stones. 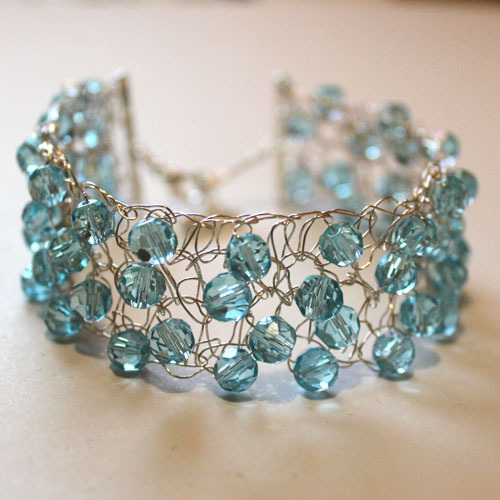 Now available to buy in the crochet jewellery section of my website. This bracelet was commissioned as a variation of my crochet bracelet with seed beads. 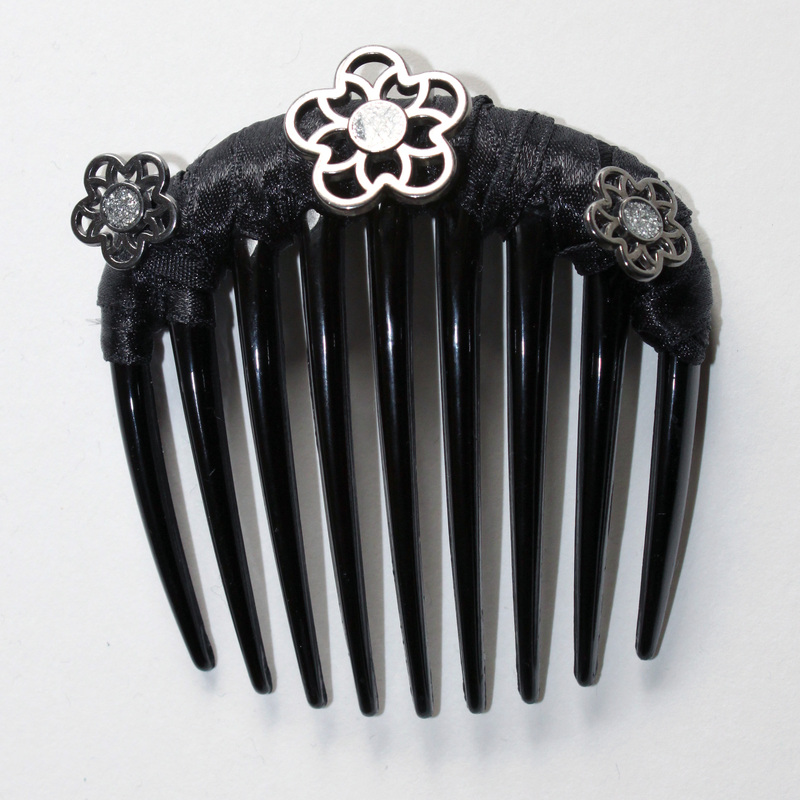 I was supplied with the buttons and asked to make a hair slide. 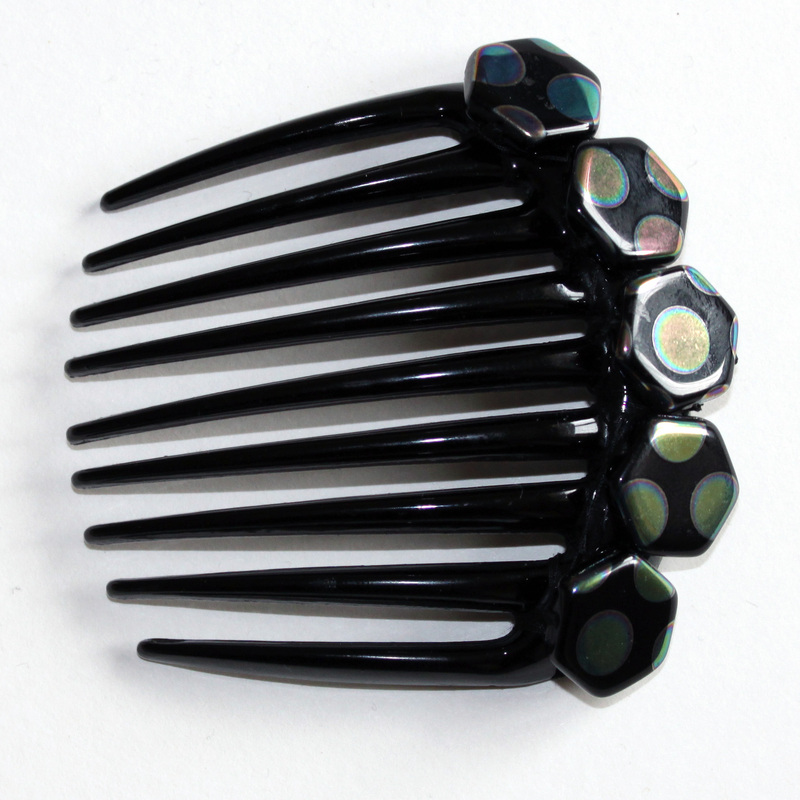 I was supplied with the beads and asked to make a hair slide. 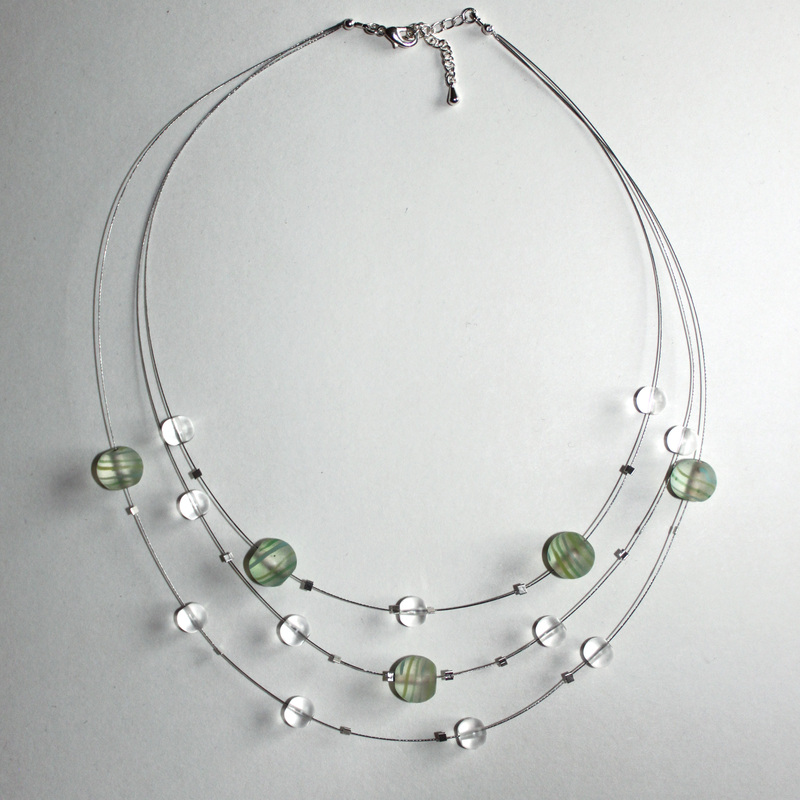 I was commissioned to make a floating necklace with clear and apple green beads to match a clients outfit.